Reiki is a kind of alternative medicine and spiritual practice founded by Mikao Usui in 1922. Reiki is usually understood as “palm healing”. Using Reiki technique a practitioner transfers the “universal energy” through the palms to the body of a patient. At the same time, Reiki is a complex philosophy and a lifestyle containing some principles based on a positive attitude to life, people around and oneself. 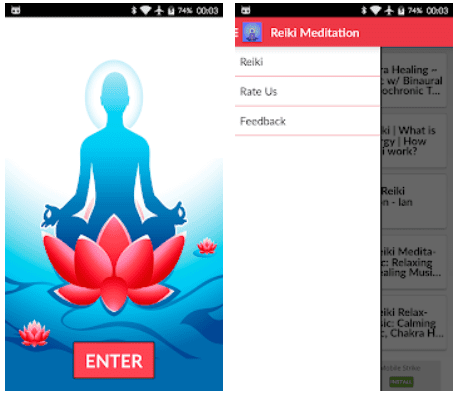 If you practice it or want to try it, the Reiki apps for Android and iOS may be quite useful for you. There you can find everything from music and timers to tutorials and Reiki symbols. So, let’s take a look at the best apps for reiki practicing we have found. To start with, Reiki boxes are a part of the practice, because first of all, you need to think positively and address your requests and intentions to the Universe. These apps can be quite useful for this purposes. 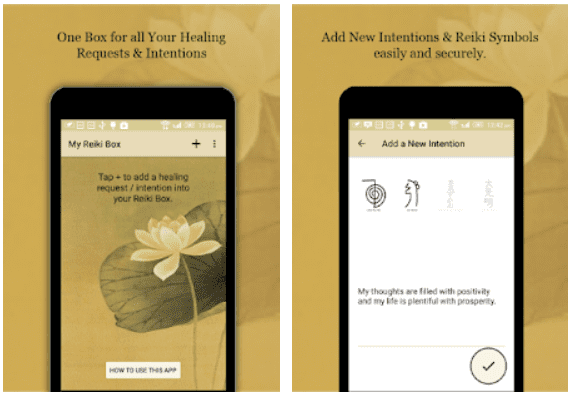 This app is created for you to store your healing requests without wasting paper. You just need to type your intention, choose one of four Reiki symbols and, if you need, you can put your palm on your phone to get the energy for your practice. As a pleasant bonus, the app contains some Reiki music. This app is created by another developer but for the same purpose. It doesn’t have any extra functions: it is just a place to store your requests and intentions with a belief for the best. It makes managing your intentions easier, though. For example, you can set an expiration date for each request and they will be automatically deleted that day. Some people think, that it is even better than a regular box as you can have it with you anywhere you go. This app contains everything you need for your Reiki practice. Here you can find some music for Reiki, palm-healing tutorials organized into categories and even a timer for your practice. The app is definitely developed by people who know what Reiki is. However, even if you are not so into Reiki, in this app you can find some music for yoga or meditation. It is quite convenient to have everything you need for you practices in one place, isn’t it? This is a good all-in-one Reiki app for iOS devices owners. The app has everything including Reiki music, positions for practices and a built-in timer. In Reiki, everything is important, even the colors of your app, and here you can set it as you need. The app is said to be a perfect aid both for beginners and experienced practitioners. What is more, ReikiOne provides a good system of motivation and reminds you to take a moment and have a hands-on healing practice wherever you are. 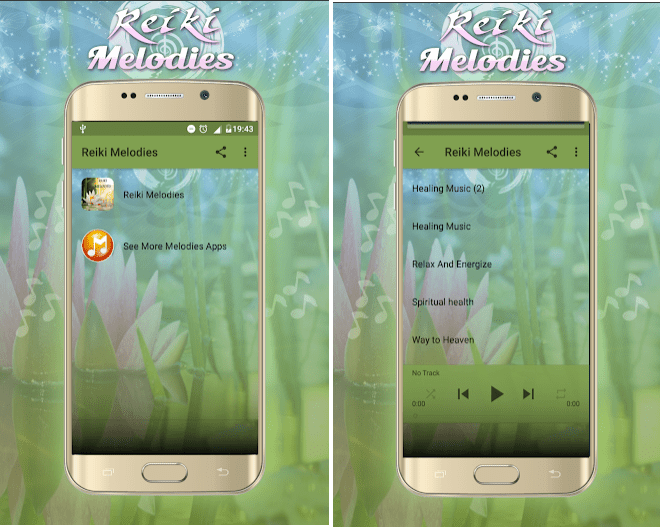 If you want to find more apps with relaxing music, here is our article: 11 Best white noise apps for Android & iOS. As you know, Reiki is not only about palm healing and not only about physical health, but also about your positive attitude and mental and spiritual state. Reiki Healing Affirmations helps you to set the right attitude by programming yourself and the Universe. All you need is to take a moment, turn some relaxing music in the background and repeat the affirmations every day. 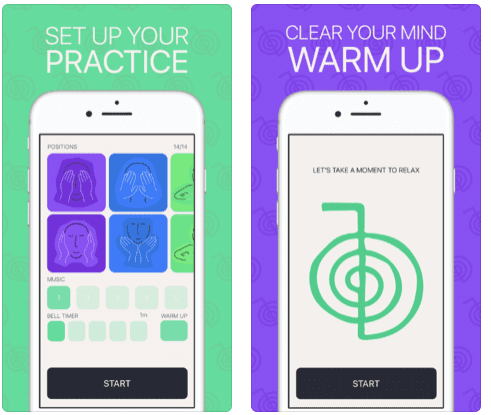 With this app, you can personalize your practice, for example, set the delay between affirmations. It will remind you of your practice time in order not to miss it. 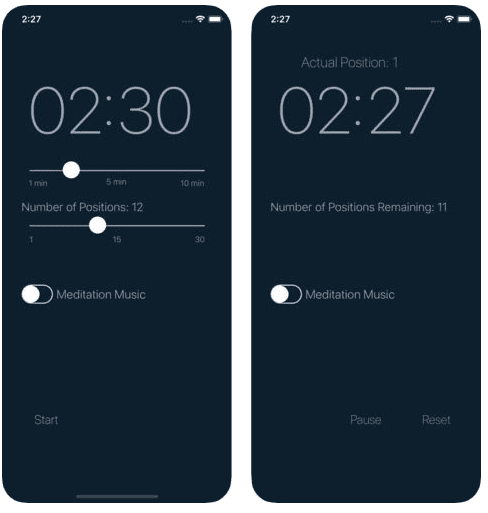 This app will be good both for Reiki practitioners, patients and those who are looking for new meditation and relaxation ways. Relax, Reiki Relaxation contains various relaxing tracks and hypnosis records for complete relaxation. In addition, you can mix the sounds and create playlists with the favorite ones. The app has a built-in timer. The app provides not only music but also good recommendations for your practice. This app contains exclusively sounds and melodies for Reiki. It provides a wide range of relaxing and healing music. The advantage of this app is that it can work without the Internet connection. You can use any track as a ringtone or an alarm sound just as if it was in your smartphone’s music library. 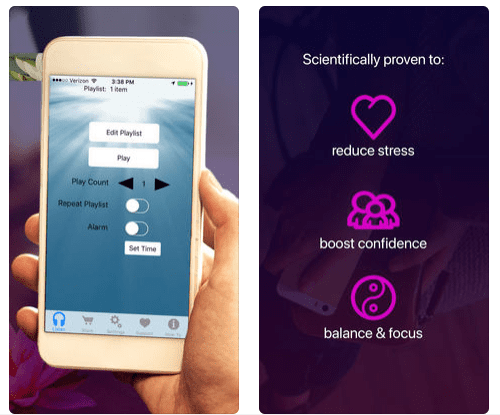 With this app, you can make Reiki music a part of your everyday life. 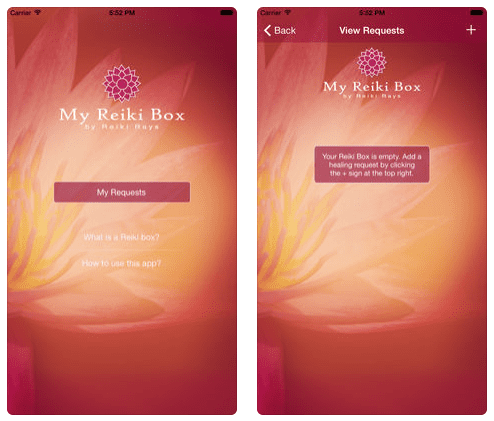 Even you don’t need any app to help you with your Reiki practice, this one can still be useful. It is a simple timer to know how long you should maintain this or that position. The timer is extremely easy to use and lightweight. What is more, it contains some relaxing music for a palm healing practice which will stop when the time is up. 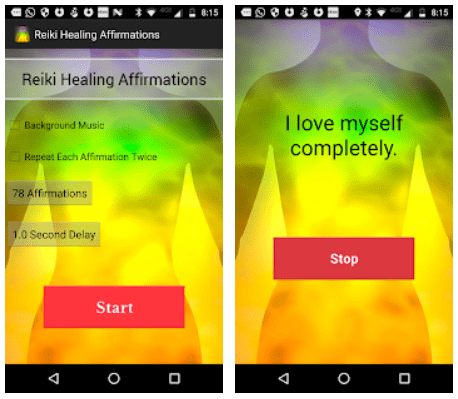 With this apps, you can make Reiki a part of your everyday life and practice it everywhere. It will help you to be in a good mood and feel well. It is a wonderful way to relax and decrease the level of stress, but don’t forget that it’s just a supplementary medical technique and if you have some serious health problems you should consult a doctor.